STEP 1: If you are totally new to the Suzuki method please first read the FAQs…and have a look at our groups pages : What do children do on Saturdays and What do parents do on Saturdays. All Suzuki pupils have weekly private lessons as well as six group lessons per term (which take place on six Saturday mornings during the school term). Practising is required throughout all weekends and holidays. STEP 2: NEXT you need to come and observe a term of 6 group lessons with Jillian Leddra (violin) or Helen Neilson (cello), please complete the relevant form: violin observing form or cello observing form Check the dates of the next group lessons on the calendar and then return the form to the Jillian Leddra on jillianleddra@hotmail.com, (also cc-ing bayswatersuzukicellos@gmail.com for cello applications) saying that you wish to observe and ask for the relevant timetable details. STEP 3: When you have observed group lessons for a term, arrange with Jillian or Helen Neilson to observe a private lesson with her. At this point Jillian or Helen will be able to indicate any availability they may have in her private lesson timetable. This only happens when an existing pupil has left thereby opening a space in the timetable, so we cannot therefore guarantee a space until a space has become available. Jillian does not take on new pupils in the summer term. Before your child begins lessons with the BSG it is very important that you read how the teaching practice is run, and we will also ask you to sign our Agreement. One important thing to remember is that we operate like any private school and we therefore require a full term’s notice both for private and group lessons should you wish to leave for whatever reason. We look forward to welcoming you to our group, where you and your children will make lots of friends – many for a lifetime! In addition to the private and group lessons we also have formal and informal concerts every term. 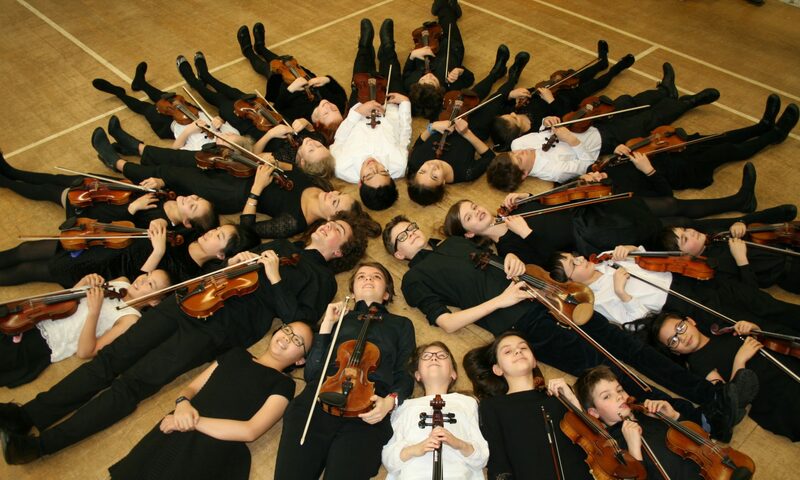 We also ask you to attend one of the Suzuki summer courses which really helps to keep your child focused — they also really help to cement friendships as well as a life-long love of playing music. It may also be useful to read this very helpful and inspiring article written by Dr Helen Likierman, a former Suzuki parent.